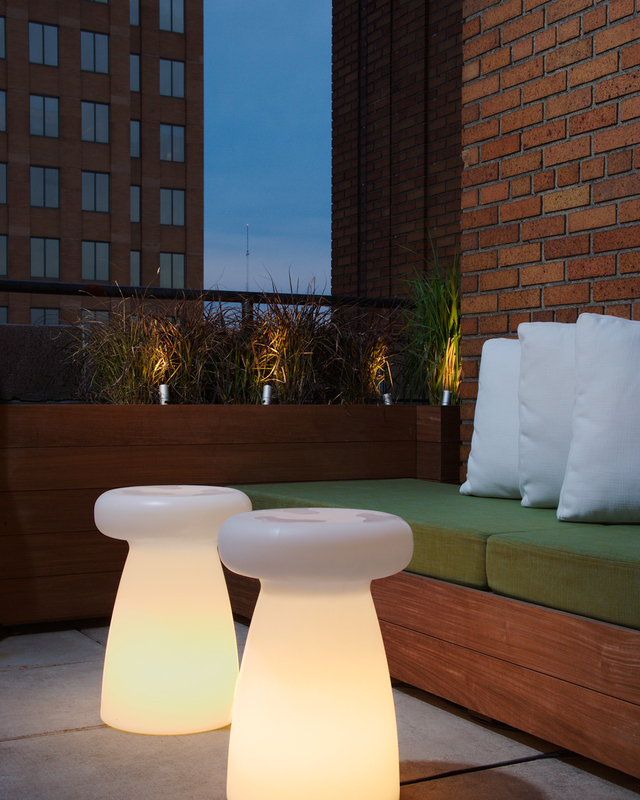 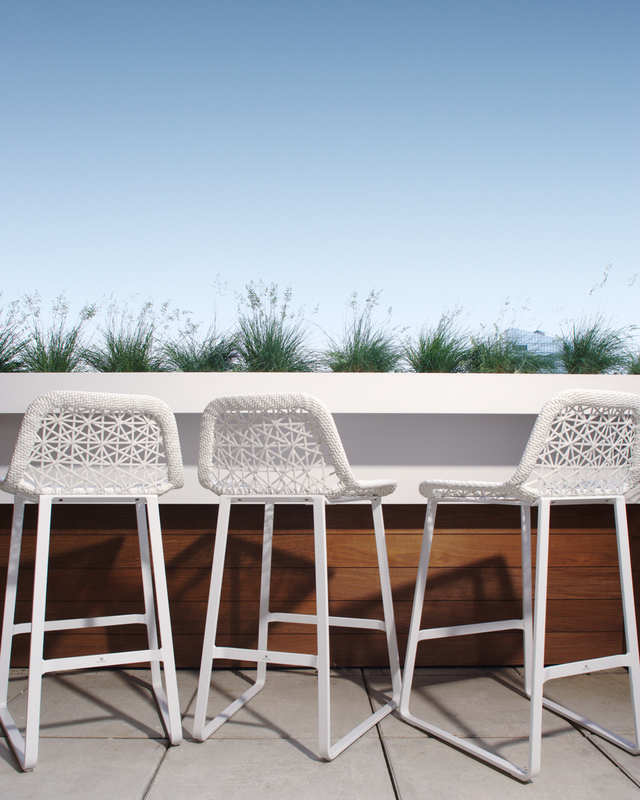 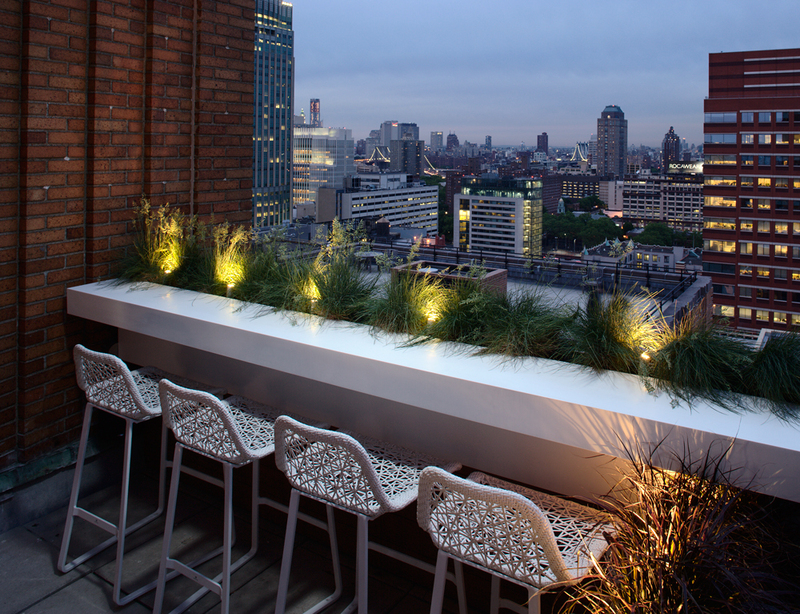 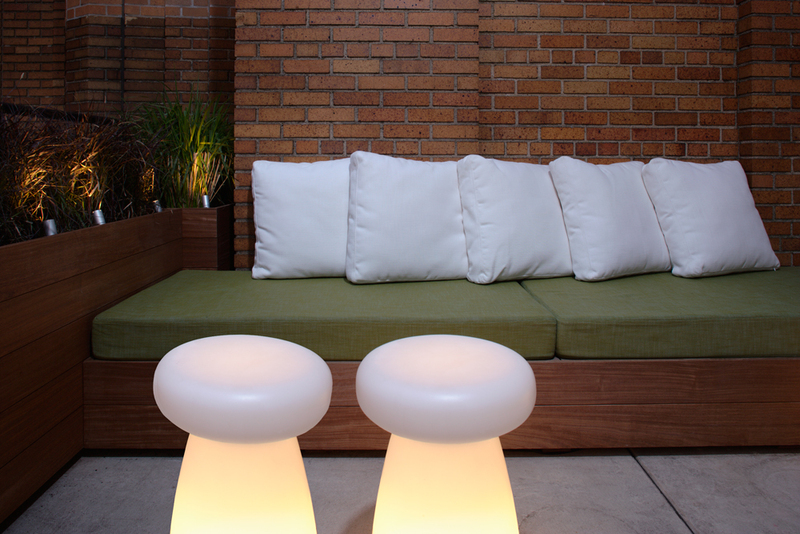 Brooklyn Terrace is 100 square feet outdoor space on the 20th floor of Bel Atlantic building in Brooklyn. 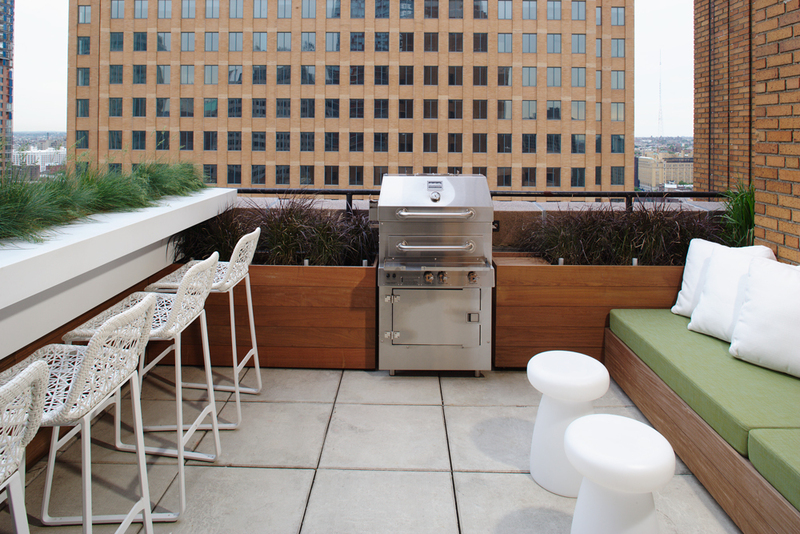 The objective was to create a dining area from which the view of Manhattan could be enjoyed, along with a lounge seating, a gourmet grill, plenty of greenery, and still have an open space for entertaining. 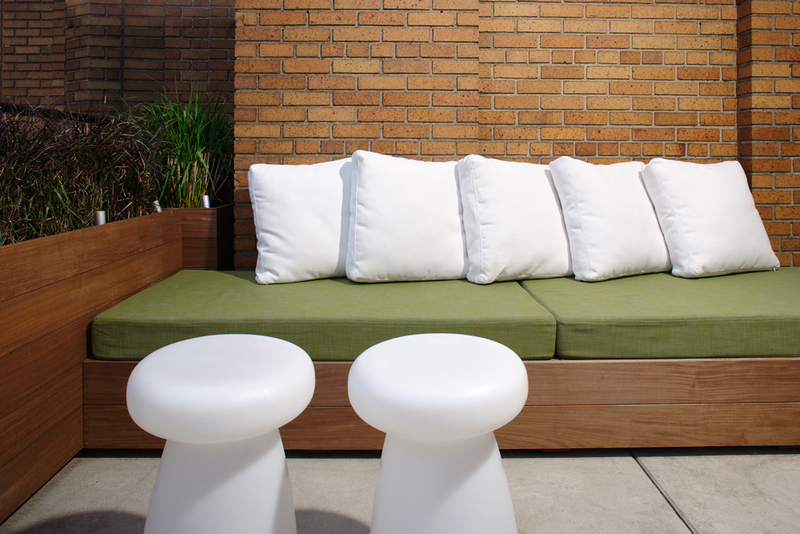 The space is expanded visually through the presence of horizontal planes of materials, colors, and textures.